Lenovo is abrand name that can be trusted for its quality always. It takes lots of efforts to grab people's trust and attention. Lenovo has seen around in the tech world for around few decades and has always tried to give its best. And hence this is the reason why many people optand choose Lenovo without giving a second thought. Nevertheless, we just cannot neglect the fact that laptops by Lenovo are also gadgets who can face issues such as Lenovo stuck at logo screen. And today, we will bediscussing the best of the solutions to solve your "Lenovo laptop stuck at Lenovo screen" issue. To solve the "Lenovo stuck on Lenovo screen" issue, first try starting your Lenovo laptop in Safe Mode. Safe mode is the best troubleshooteras it will start your Lenovo laptop in a limited state. All that is needed is few basic files as well as drivers that required to run Windows. Safe mode is very fruitful to troubleshoot issues with drivers and programs that may not start properly or may result in "Lenovo laptop stuck on Lenovo screen" issue. Follow below steps to boot Lenovo laptop from Safe mode. Step 1: Restart your system normally. Nowgo for Shift+Restart. In Settings, go to the sign-in screen. Step 2: Now simply press Windows key + R. This will force Windows to boot from Safe mode everytime you do a reboot of your Lenovo laptop. By setting your Lenovo laptop's BIOS setting to default one can also help you solve "stuck on Lenovo screen" issue. To perform a BIOS default, follow below simple steps and get back your laptop stuck on Lenovo screen. Step 1: Restart your Lenovo laptop and tap on Start>> Turn off Computer >>Restart. Step 2: At the Lenovo loading screen, click F2 so as to enter the BIOS. The pop up saying "Entering Setup" will be seen once the command is recognized. Depending on your model, a different key might be used. The required key will be shown while the booting process. Step 3: Once loading is done, press F9 key so as to Load Defaults and reset it to the default.This is also displayed as the option at the screen's bottom. You can also try Alt + F or simply click the Load Defaults button present on the screen. With this, you will load the factory defaults. Step 4:Now follow Esc >>Save >> Exit.Click Enter to save all the changes done and you can now exit the BIOS screen. Simply restart your laptop so that BIOS settings will be reset. The next Lenovo laptop freezes on startup fix is a mere system restore. Well, we suggest you to take a backup of your full system asthis method may give you a data loss situation. Follow below steps to restore Windows on Lenovo laptop and solve "Lenovo laptop freezes" issue. Step 1:Start your Lenovo laptop normally.Press F8 just before the logo of windows loading is seen on the screen. Different Windows boot options will be displayed. Step 2:Select "Repair Your Computer" option and wait until the Windows 7 repair mode is ready for further process. Step 3:Click on "OK" when asked to select keyboard. Now choose your account when asked and tap "OK". If set, provide your password. 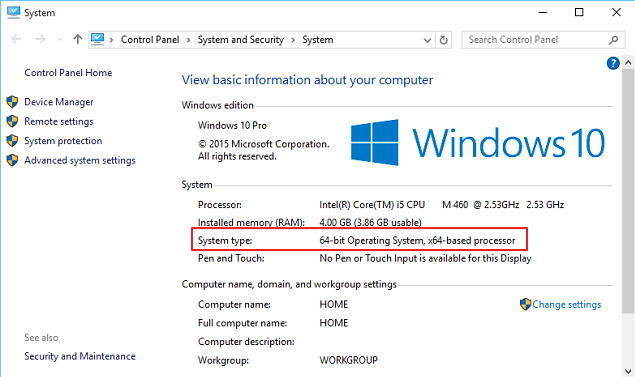 The System Recovery Options will be displayed; choose the option System Restore. Step 4:All the Windows restore available points will be displayed. Choose the one that best suits you. Step 5:Click"Next". Your Lenovo laptop will now be restored to the selected point. Have patience until the laptop's system restore is done. Hope this solves your "Lenovo laptop froze on startup screen" issue. 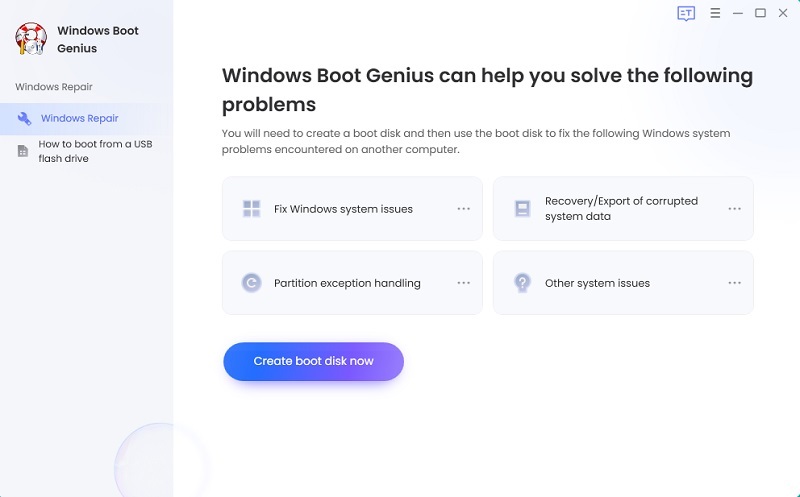 If your "my Lenovo laptop is stuck on the Lenovo screen" still persist, go for a professional help, that is, Windows Boot Genius.The tool will solve yournumerous screen stuck issues without any efforts. Thetoolis an ultimate and best solution to get your screen stuck issues solvedinstantly. Follow below steps to solve the "Lenovo stuck at logo screen" issue. Step 1: Download and then install and run the software on your Lenovo laptop. A bootable diskis required for further process. Hence you need to make one with a prepared CD or flash drive or DVD. Ifyou are usingCD/DVD, using CD-Rom driver insert the disk. Ifyou are using flash drive, using the USB port connect your pen drive. Click Burn in order tostart the burning repair disk process. Step 2: Put this CD in your non-working laptop. 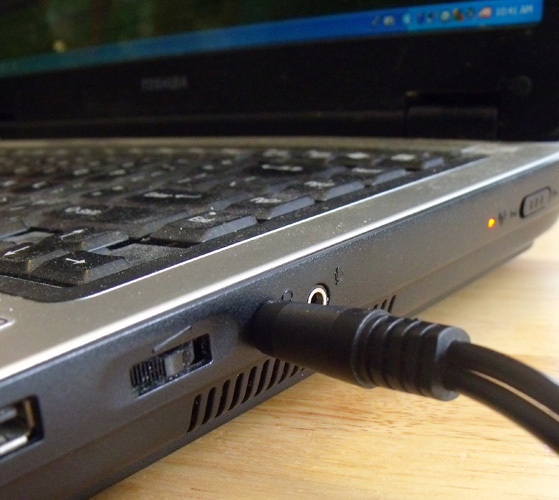 Continuously press F12 in order to boot the laptop using CD/USB. Click enter to see the integrated program page. Step 3: The software's UI will be displayed on the screen. Select the correct reason that suits your situation from the menu present left side.All you need to do now is follow on-screeninstructions. In the above article, we discussed the top solutions for you "Lenovo laptop stuck in Lenovo screen" issue. We hope one of the solutions gave you what you needed and has repaired your Lenovo laptop issue. Windows Boot Genius is highly recommendedas the tool is an ultimate solution for "Lenovo laptop stuck on Lenovo screen" issue. Share yourvaluable feedback with us in below comments.